I was planning on not trying this beer at all - skipping this beer completely.. but today I was walking around the liquor store across from my workplace (to avoid the windy, rainy stabby-stabby sleet). As I was looking at the minimal single serve craft beer they have on their shelves as they're a small store, I kept thinking "okay I've reviewed this, this, this, not this (because it's swill), this this and this.. I need to try something different." So that's how I ended up picking up a bottle of Hop City's Polly Want a Pilsner - I treated myself to a bottle of Unibroue Blonde de Chambly as an extra push to get me to write this review! 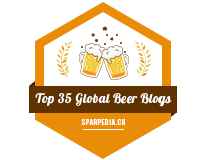 Especially since pilsners are one of my least favourite styles of beer. 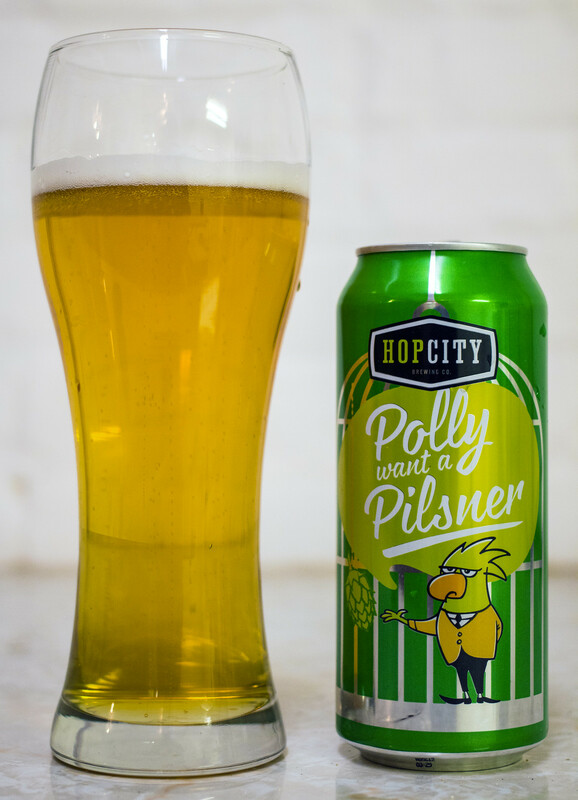 Appearance: Polly Want a Pilsner pours a pale light-yellow straw beer with a 1/3rd of a finger's worth of white foam on top, it has a bit of a light frothiness to it, slightly frothier than your typical pilsner. Aroma: Notes of lemon, crackers, sweet malt profile to give it a bit of a honey biscuit flavour to it (but not really honey), wet.. grassy hay, hint of skunky vibe but not really. This is coming off as your typical every day pilsner for the most part. Not as skunky as the brewery owner Moosehead's staple beer. Taste: Crisp, light, hint of lemon, quite grassy, a mild yet sharp hop bite that gives off a combination of fresh cut grass and a hint of pine bitterness. A hint of apple peel in the background and a light gritty barley bite hitting my palate at the end. Overall Thoughts: A solid crafty take on a popular style. 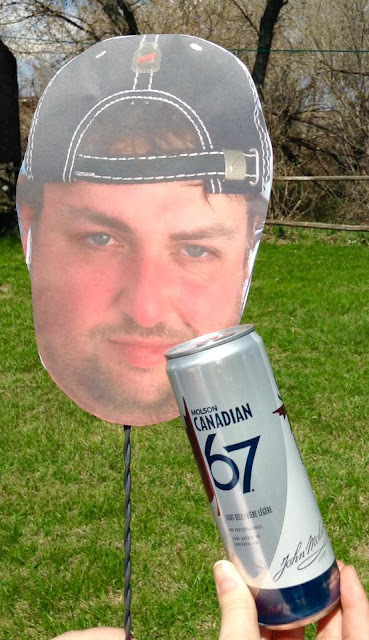 Not something I'd ever drink again but for the pilsner fans out there - you'll like this. It's crisp, fairly light but with a sharp hop bitterness that hits all of a sudden. Easy to drink, but too light for this guy's palate.